The world will need to feed 9.7 billion people by 2050, according to the United Nations. 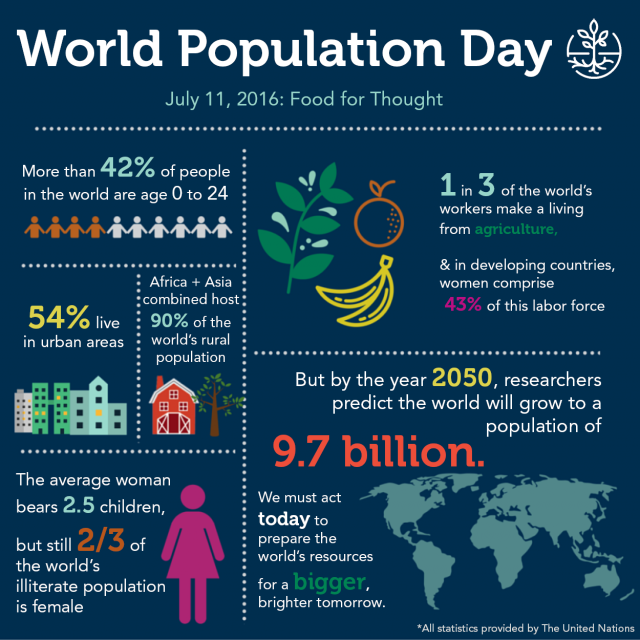 In recognition of World Population Day on July 11, on our blog this week we are discussing population growth and how to meet the global increase in demand for food. Innovative and sustainable solutions will be necessary to meet major agricultural challenges. Climate change is one of the most fundamental challenges facing agriculture and perhaps the most demanding of immediate action. As the climate continues to change globally, it is transforming the context for rural development. Increasingly unpredictable physical and socio-economic landscapes make smallholder farming riskier and farming-based livelihoods less resilient. As an organization who works with agriculture – a sector that is both a major contributor and is expected to be highly vulnerable to the onset of a changing climate– we recognize our position of opportunity and responsibility to contribute to global action towards climate solutions for future generations of farmers. In our work, we aim to stimulate economic growth without leveraging against the natural ecosystems that enable it in the first place. An understanding that success in meeting major agricultural challenges is closely tied to the social cohesion of communities, and their leadership in building resilience and reducing degradation of environmental resources, is at the heart of our vision for a prosperous world without hunger. Check this page throughout the week for daily updates and follow us on Twitter @CNFA and Facebook @CNFAglobal to join the conversation. In order to feed a population of 9.7 billion by 2050, agriculture as we know it will need to adapt. In our work, we encourage a shift from inefficient production methods to techniques and technologies that help to increase output as well as reduce environmental impact. Equally important, however, is a focus not just on practices but on the people who implement them. By empowering local farmers and ag-entrepreneurs with tools, specialized education, and training, we leverage the insight of people who grew up tending the land that supports their families and communities now towards feeding a growing world tomorrow. CNFA and our partners have established over 7,000 agrodealers to serve rural populations across Africa, Eastern Europe, and Central Asia. These one-stop-shop enterprises provide convenient access to improved agricultural inputs and technologies and are providing technical guidance and extension services to farmers and their communities. This channel to the farm-level also enables us to effectively emphasize safe use in agrochemical handling, best practices in conservation agriculture, and support in the certification of quality standards for inputs. Our local teams and technicians audit products and their environmental impacts and conduct behavioral change outreach towards the ends of promoting the shared, global responsibility to maintain resources for future generations. 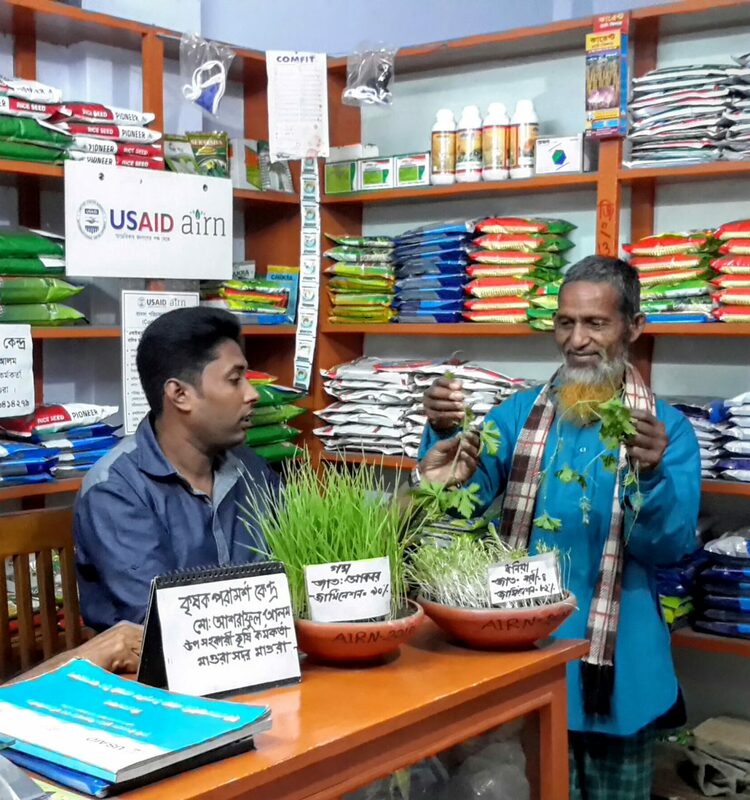 In Bangladesh, for example, CNFA’s Agro-Inputs Project (AIP) established an Agro Input Retailers Network (AIRN), which is serving 20 districts to supply improved agricultural inputs and aims to reach over 1 million farmers by project end. AIP directly supports three existing national input associations – focused on seeds, fertilizer, and crop protection and best practice trainings for safe use and handling are led by private seed, fertilizer, and crop protection companies – ensuring their future sustainability. AIP also works closely with the International Rice Research Institute (IRRI) and the International Food Policy Research Institute (IFPRI) to identify and present policy constraints to agro-inputs. These interventions converge in promoting farmer field days and live demonstrations through the AIRN to smallholder farmers, helping to encourage best practices and behavioral change by showing the production and environmental benefits and proper use of quality inputs. By increasing the availability of quality inputs, approved seeds, agrochemicals, and technical training, the Agro-Inputs Project is helping agriculture adapt; rice is a key beneficiary value chain and is responsible for feeding large populations in Bangladesh. Follow us on Twitter at @CNFA and Facebook @CNFAGlobal to join the conversation #WPD2016. According to the Food and Agriculture Organization of the United Nations (FAO), 1/3 of the food produced for human consumption is wasted every year (approximately 1.3 billion tons)*. The FAO estimates that consumers in rich countries waste almost as much food (222 million tons) as the entire net food production of sub-Saharan Africa (230 million tons)*. Key sources of nutrition including fruits, vegetables, roots, and tubers have the highest wastage rates of any food*. While consumers need to do their part, in order to feed a growing, hungry planet we must also maximize agricultural efficiency, and in turn, minimize food losses from farm to fork. 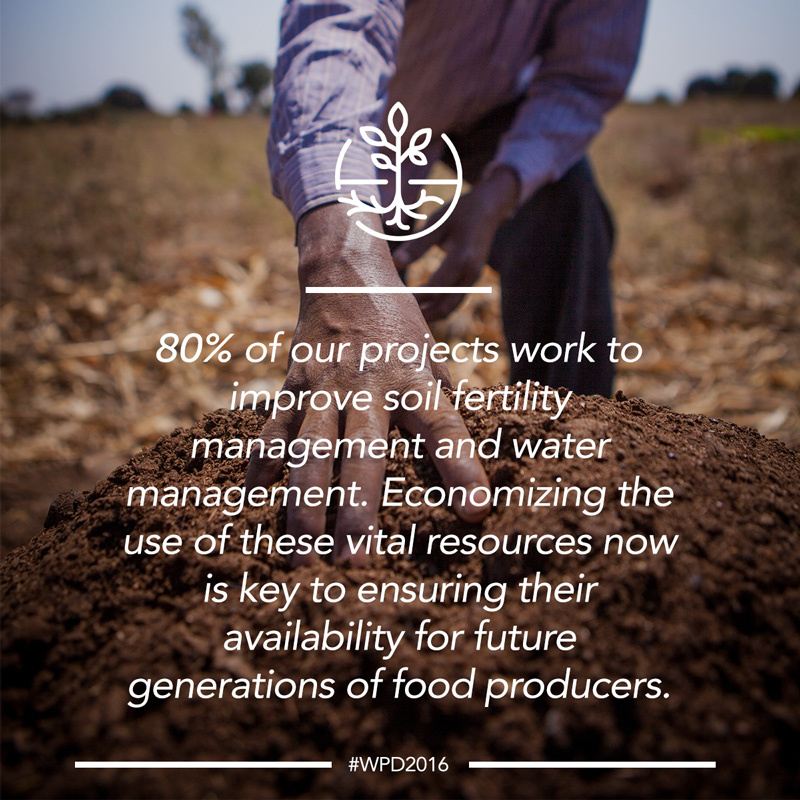 In our work, we match efforts to conserve vital agricultural resources (e.g. soil and water) with activities to curb food waste. Reducing post-harvest loss and engaging in value-added activities are critical elements in our strategy for improving smallholders’ food security and helping processors expand to new markets. Working across the entire value chain, we integrate modern processing and post-harvest handling practices in our programs to expand profitability, competitiveness, and export capacities of food processing enterprises worldwide towards feeding more people. Technical assistance in a variety of areas including but not limited to: distribution, cleaning, packing, sorting, storage, transportation, worker hygiene, cold storage, and processing (drying, canning, freezing, preserving fermenting, juicing) helps to maximize the value of and use of agricultural produce. 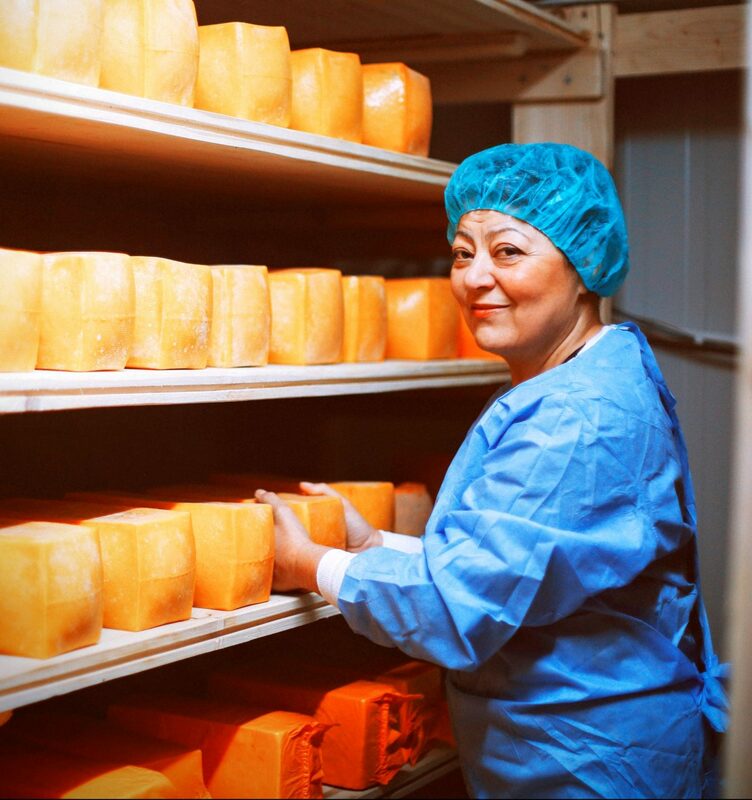 To complement our platform of technical assistance, we assist processing companies in obtaining international certifications such as HACCP, GlobalGap and ISO, which can help increase demand in both existing and new markets, ensuring existing, and in many cases increased, production does not go to waste. In Georgia, for example, grantee enterprises under the CNFA/USAID Restoring Efficiency to Agriculture Production (REAP) project are applying environmentally friendly agriculture practices that reduce waste. This includes mitigation/adaptation measures such as Integrated Pest Management (IPM) practices, bio-fertilizers, and at the Farm Service Center/agrodealer-level, conservation agriculture demo plots. Our team supports continuous and regular consulting for local farmers to raise their awareness on application of best practices in proper tillage, crop rotation, organic farming and other methods associated with conservation agriculture. We apply energy efficient green technologies to project-supported cold storage and processing companies, and are introducing green engineering principles that go beyond agricultural production such as environmentally safe construction materials, ventilation systems, and refrigeration. The REAP dairy projects introduced improved energy efficiency technologies at various stages: manure storage facilities, waste management systems, and energy efficient technologies. Integrated Pest Management (IPM) systems were also introduced, waste management practices have been applied, irrigation systems introduced, in addition to needs-based application of fertilizers. REAP also supports processing companies towards creating sustainable food chains in dairy, vegetables, meat, and herbs. Since its launch in October 2013, REAP has worked to increase private investment and commercial finance to the agriculture sector; mitigate risks for rural agribusinesses; upgrade farmers' agricultural and technical skills; and expand commercially sustainable linkages between service providers, producers, and processors. 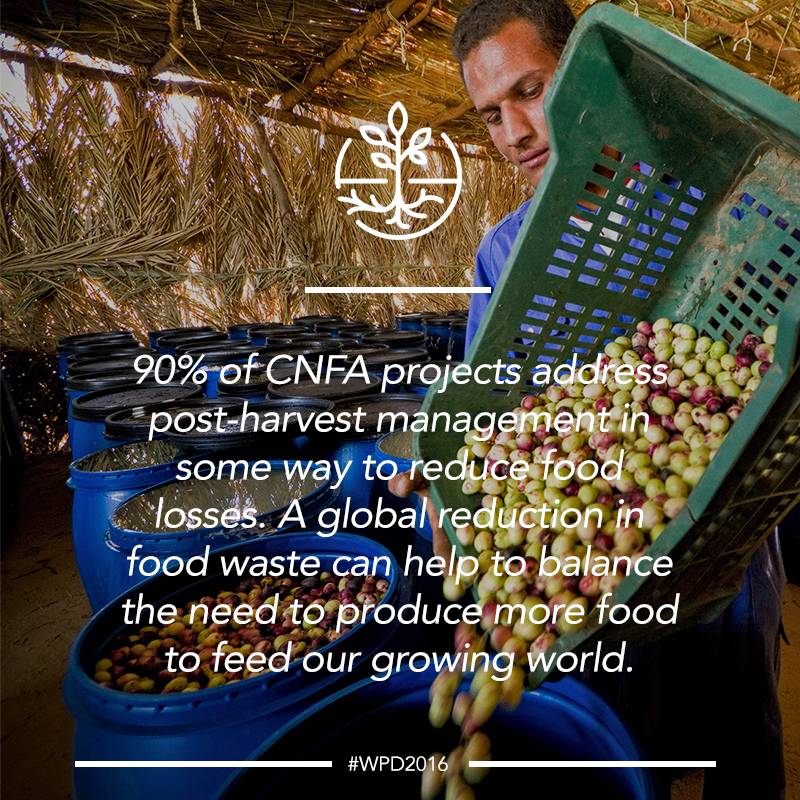 While increased efficiency of resource use and reductions in food waste are critical elements of feeding a larger population, substantial increases in agricultural productivity are also necessary. Along these lines, we leverage the expertise of U.S. farmers, researchers, and agribusiness professionals as volunteers to make strategic, farm-level improvements to lead to increases in production on land currently being farmed. The Farmer-to-Farmer program, implemented by CNFA in Mozambique, Malawi, and Angola, taps into existing human capital to grow income and resources of smallholder farmers, business owners and cooperatives worldwide. Via short-term volunteer assignments at the local level, technical assistance and knowledge transfer strengthens agricultural practices and use of resources; new skills and technologies shared with beneficiaries have proven potential to increase agricultural production, income, and resilience. 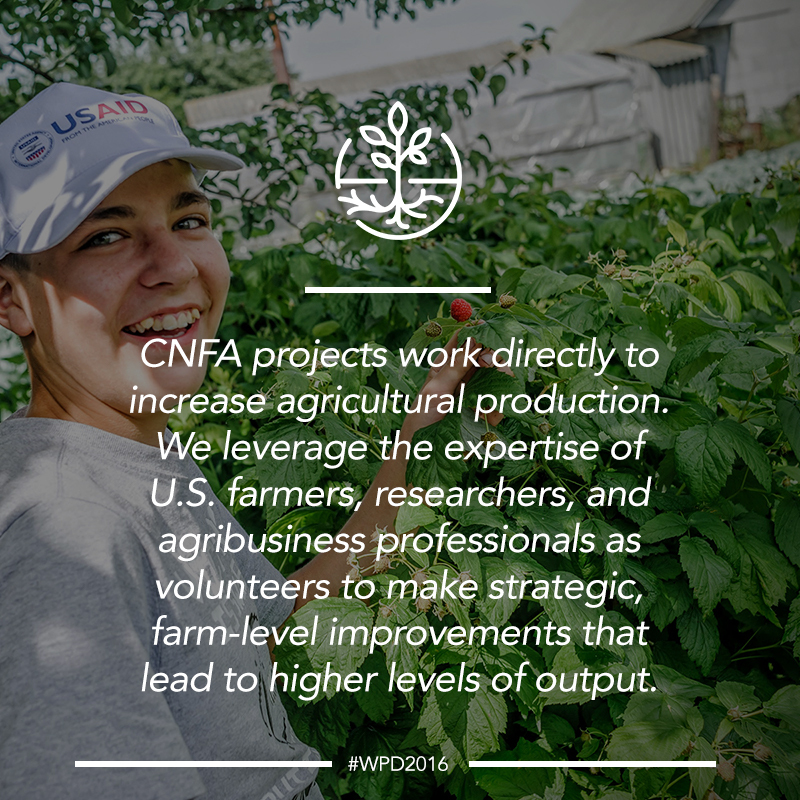 Amongst many issues limiting productivity, CNFA volunteers have tackled the problem of soil erosion, caused by various factors including, widespread deforestation, poor tillage practices, drought conditions, and poor land management processes. We launched our first volunteer program in 1991. Twenty-five years later, we continue to use volunteers as a core part of our strategy towards feeding a growing world. Over 2,700 CNFA volunteers have trained thousands of farmers across 21 countries in improved techniques such as soil regeneration through composting, established irrigation systems to better use existing water resources, and improved permaculture practices. Our volunteers impart the significance of teaching and sharing on the communities they work in, and their lessons spread far beyond just those they meet on a two-to-three week assignment. Established in 2003, the Chalera Mushroom Farmers’ Cooperative is located just outside of Lilongwe, Malawi’s capital. The cooperative, comprised of 29 women and six men, had been experiencing difficulties in cultivating mushrooms for sale and consumption since its inception, due to inadequate growing methods and a lack of access to quality resources. Despite these challenges, the members of the Chalera Cooperative refused to abandon their goals of developing a successful mushroom cooperative and turned to Farmer-to-Farmer for assistance with learning new methods of cultivation to improve their operations. CNFA responded to their request by sending Matthew Cleaver, a seasoned CNFA volunteer and mushroom expert, on an assignment to equip cooperative members with the skills needed to improve their mushroom production. With more than 15 years in the mushroom industry, Mr. Cleaver has an impressive record of successfully introducing new technologies to mushroom farmers, enabling them to increase their yields through improved production practices. Mr. Cleaver worked with the Chalera members to find solutions to the challenges they faced, including inadequate chemical pasteurization methods and a lack of proper growing spaces. He trained the members on chemical, heat, and natural pasteurization methods, which are vital in reducing any microscopic “competitors,” allowing the fungi to thrive. He also made recommendations to the group on how to transform their grow-house into a mushroom growing haven by adding clear plastic over the windows and roof to allow light and heat in, keeping the space at an ideal temperature for mushroom cultivation. The cooperative members pictured here are working to implement one of the key lessons from their training: reducing the size of corn husk pieces which are used as a base for mushroom cultivation, which helps the growing fungi absorb more water. Prior to Mr. Cleaver working with the Chalera Mushroom Farmers’ Cooperative as a CNFA volunteer, the group sold close to 96 kilograms of oyster mushrooms per week. After implementing recommendations from Mr. Cleaver’s training, the cooperative currently sells 168 kilograms per week, a 71% increase in sales! In addition, building on the resulting group momentum and increased confidence, the cooperative built 14 new mushroom growing sheds. The sheds, along with the cooperative members’ knowledge of new and improved cultivation technologies, will continue to increase the quantity of their mushroom production and sales as the cooperative scales. As the group masters Mr. Cleaver’s lessons and shares the new techniques with other farmers, it will support improved incomes and diversified nutrition options for its members and their families, as well as for the wider community. This example of successful knowledge transfer is one of many that occur each year during Farmer-to-Farmer assignments. It reflects not only the desire of participants to learn and to thrive, but also the passion and dedication of our volunteers. By focusing on improving the specific technical skills needed by smallholder farmers, Farmer-to-Farmer continues to generate tangible and replicable positive outcomes. Its unique approach improves livelihoods for those directly assisted, as well as whole communities, for generations to come. 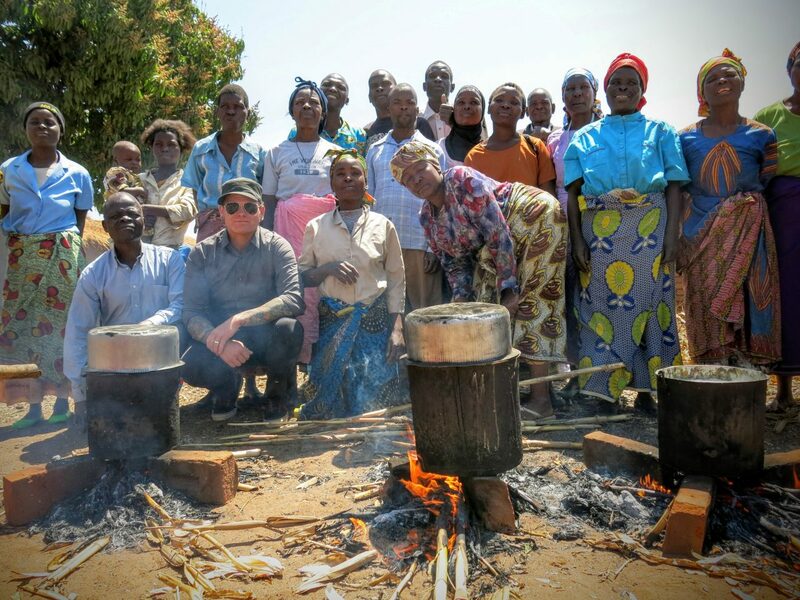 On December 3rd, 2016 CNFA volunteer Matthew Cleaver became the recipient of VEGA’s Volunteer Impact Service award for his work on reviving mushroom production in Malawi – he received his award at the Meeting of the annual assembly of the VEGA Alliance. For more information on how you can volunteer with CNFA, please contact F2Finfo@cnfa.org. Follow us on Twitter at @CNFA and Facebook @CNFAGlobal to join the conversation #WPD2016. 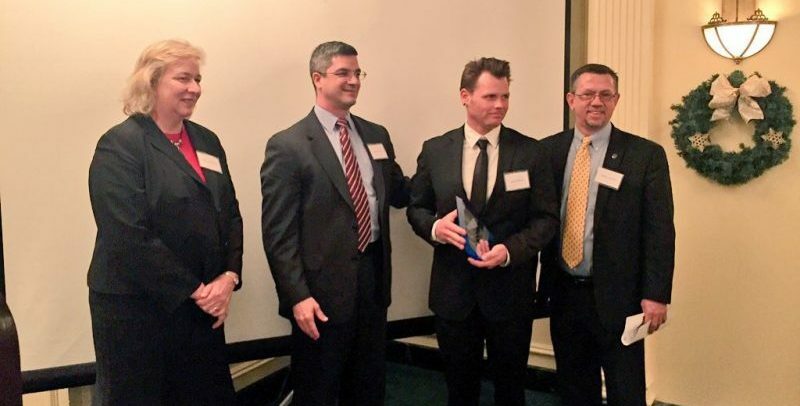 "Mr. Cleaver’s ability to tailor trainings to his audience and imbed long-term technical skills is a great asset to the communities in which he works. In addition to his multiple F2F assignments in Malawi, Mr. Cleaver engaged in citizen diplomacy upon his return to the United States, conducting over eight hours of outreach through writing a press release, engaging in group presentations about his experiences, and sharing stories and pictures on social media, reaching over 500 of his colleagues, friends and family. Mr. Cleaver would be an ideal recipient for the VEGA Impact Service Award." In order to feed 9.7 billion people by 2050, we believe that sustainable agriculture and improved nutrition are inextricably linked solutions. Our projects aim to increase production in order to improve the health of rural families not only by providing a higher-quality diet, but also by generating profits from surplus to improve the purchasing power of smallholders to nutrition-rich agricultural and livestock value chain commodities. 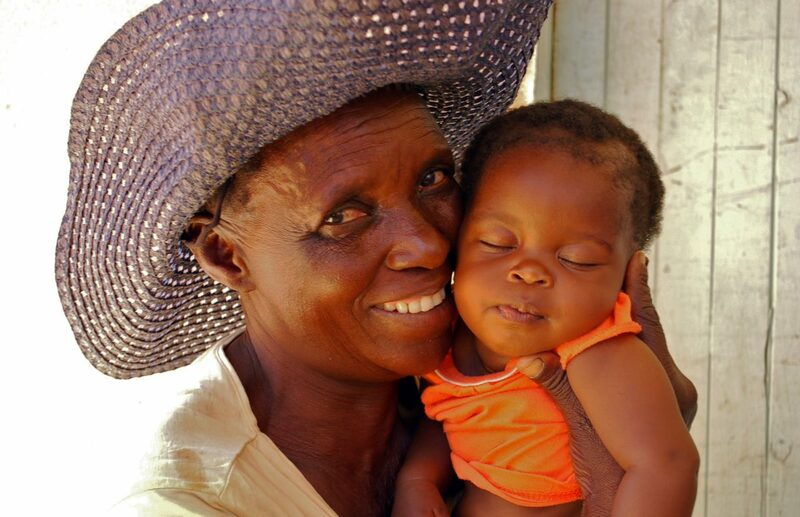 Integrating improved nutrition is a core objective of our Amalima project in Zimbabwe. Our team facilitates care group meetings to impart trainings for our nutrition improvement strategies to active community members, including “lead mothers” and pregnant and lactating women, who are encouraged to share what they’ve learned as well as host care group meetings of their own. 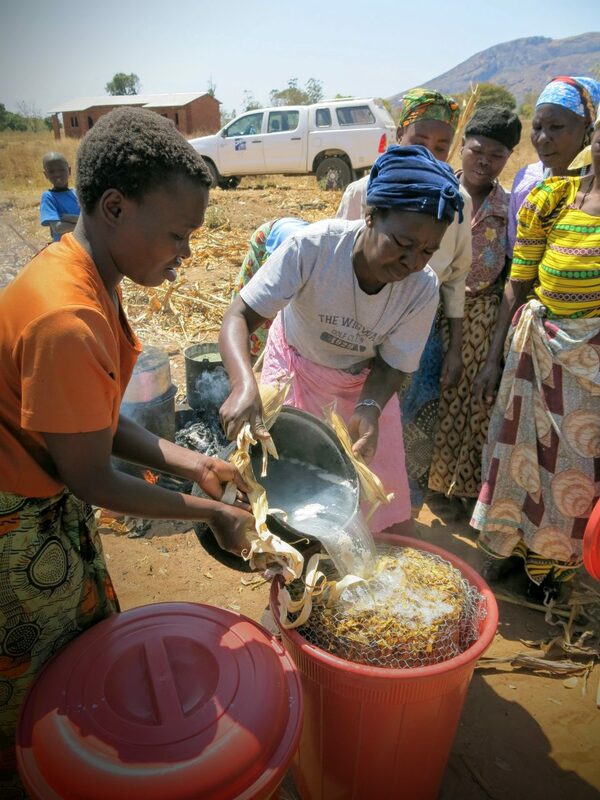 Nearly 25,000 Zimbabweans have attended these care group meetings, which also involve eco-stove trainings, “healthy harvest” trainings, and infant and young child feeding training. The healthy harvest training approach was developed by the FAO and focuses on growing, preparing, and processing healthy foods at the community level. Healthy harvest looks at all aspects of food production and consumption, which encourages communities to use locally available foods as part of a well-rounded, diverse diet. As a compliment to the healthy harvest strategy, Amalima organizes cooking classes taught by lead mothers that specifically promote consumption of nutritious, locally available foods. Cooking class sessions are designed to encourage the active participation of attendees and demonstrate how healthy meals can be prepared easily, often by modifying an already popular meal like porridge, and in a short amount of time. In conjunction with Amalima’s holistic approach to promoting improved nutritional intake, rations of vitamin-fortified vegetable oil and Corn Soy Blend Plus are provided to mothers and caretakers as a more immediate intervention to combat undernourishment, especially in lactating mothers and children younger than two years old. This strategy has proven particularly important during ongoing drought conditions, in which agricultural production is severely hampered. You can read more about Amalima’s specific efforts to improve nutrition and health for future generations here. 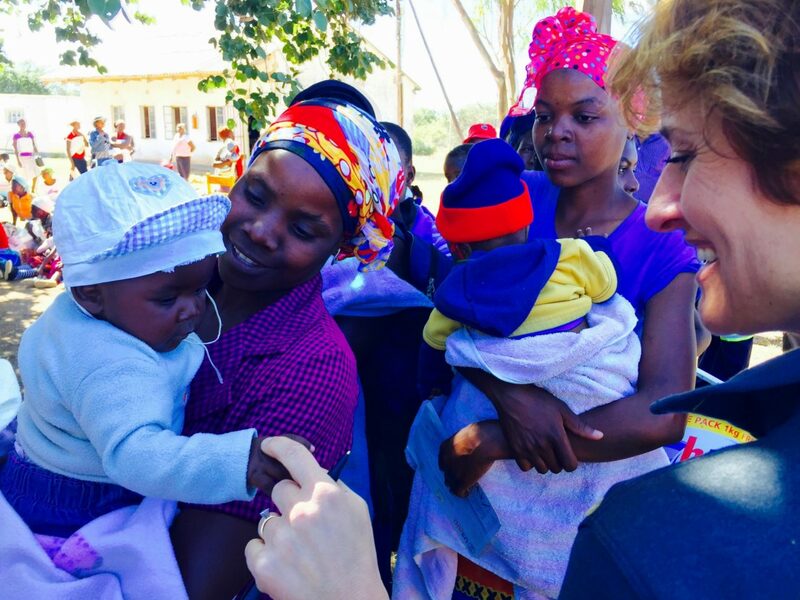 Dina Esposito, USAID’s Acting Deputy Assistant Administrator for Democracy, Conflict, and Humanitarian Assistance, recently published a post on the USAID 2030 blog highlighting the work of CNFA’s Amalima program in drought-response efforts underway in Zimbabwe. Check it out! Thanks for joining us this week for our #worldpopulationday blog series! Be sure to follow us on Twitter at @CNFA and Facebook @CNFAGlobal to stay updated. The Amalima program, started in June of 2013 and scheduled to close in June of 2018, draws its name from the Ndebele word for the social contract by which families come together to help each other engage in productive activities such as land cultivation, livestock tending, and asset building. Amalima builds on existing communal initiatives in order to sustainably improve household food security and nutrition by strengthening access to and availability of food, community resilience to shocks, and nutrition and health among mothers and children in the districts of Tsholotsho (Matabeleland North), Bulilima, Gwanda and Mangwe (Matabeleland South). *Expected Impacts by 2018 shown.